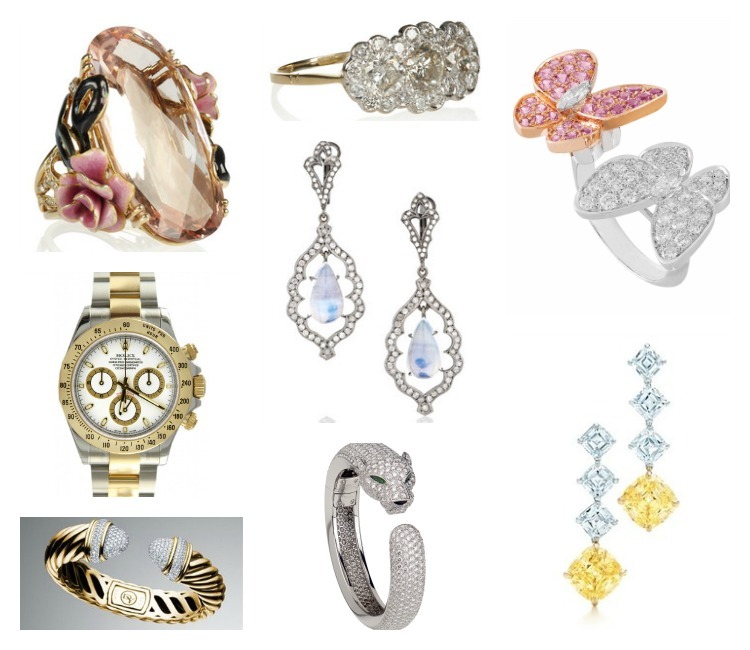 The onslaught of carpal tunnel is creeping into my joints flared by my endless laptop "mousing" of images of decadent and stunning fine jewelry. I don't feel contrite for window shopping and engaging in fantasies of iced opulence. This is not an exercise basking in futility. You see, for years, echos of "I need to declutter" have reverberated against the walls of our home. Alas, the echoes always fade into the walls, silenced by my hoarding disposition. As one molecule is tossed out the front door, a thousand more somehow make their way in. Do we have a back door I don't know about? I don't want to end up on Hoarders! That's not how I envisioned my small screen debut! Instead of joining Hoarders Anonymous, I'm inspired to declutter by staring at pretty and sparkly metals infused with precious stones that are exorbitant in price and bling. I look to them as a reminder that less is always more. When it comes to jewelry (and other things in life), sometimes all you really need is just one spectacular piece to make your life complete. travelis the mental refreshment. every body need to go to travel. if you want to go for travelthen you should go bangladesh first. Inspiring blog post, lots of enormous information. I’m going to show my friend and ask them what they think about this.